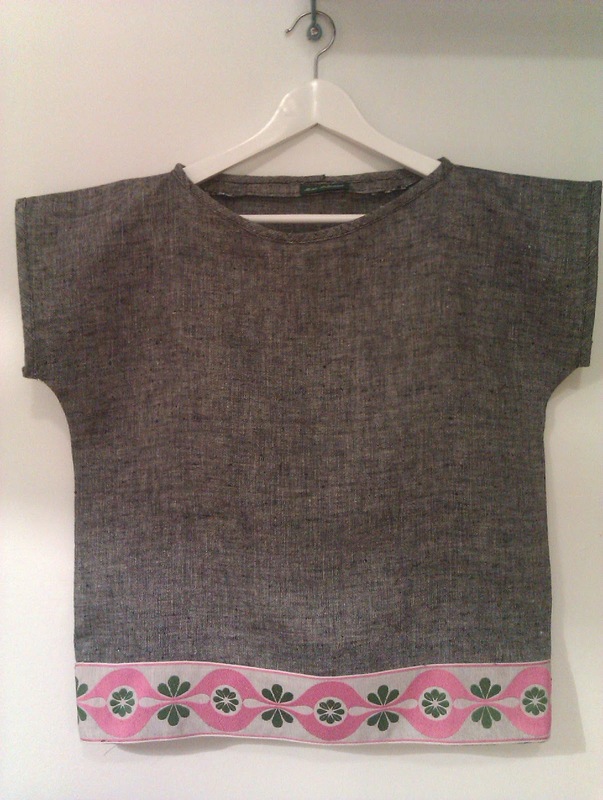 Here it is, my grey linen top, based on One Avion Daemon's easiest shirt ever. 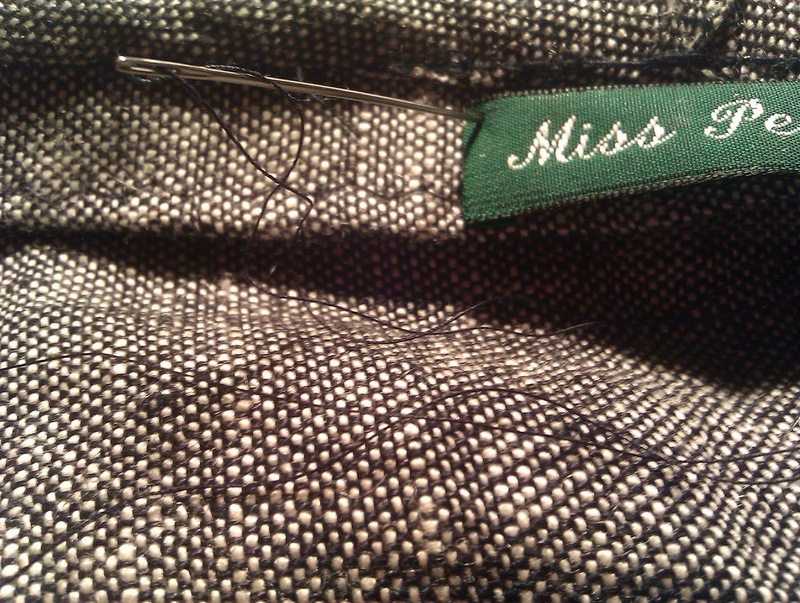 I added a decorative ribbon on the hem. I've had this ribbon for years and absolutely love it! I always thought I'd add it to this grey linen fabric but I didn't really know what do do. When I found that easiest shirt ever, everything became clear! I'm so happy with how it turned out! And I can wear it in the Winter with a polo neck underneath, which is what I've been doing lately. And it's also a great fresh summer top! What else could I wish for! And of course I've added my little green label! It gives that extra feeling and it makes me so happy! I am so glad that you are back!!!!!! Did you finish your study? It came out great! I love the fabric you used! Grey is my favourite colour, and the pattern is so simple that I might make one for myself by recycling some old clothes. Love the ribbon touch as well. By the way, glad to see you back!